• I will act with utmost integrity and pursue my work in an ethical manner. • I will safeguard the interests of my shareholders, co-workers, customers, and the society in which we operate. • I will manage my enterprise in good faith, guarding against decisions and behavior that advance my own narrow ambitions but harm the enterprise and the societies it serves. As stated, this seems naive, as if it were possible to safeguard these various interests equally. This, of course, is not possible. If you raise the price of a widget, that might mean the interests of customers are not being well-served in favor of the interests of shareholders. Raise the prices too high, however, and everybody loses. Or, there are cases when the society would be best served by drastically limiting the pollution produced by a company, but the result is much higher prices, which would be bad for customers and therefore for shareholders. So, though I appreciate the intent to safeguard the diverse interests mentioned here, I find that oath itself to be simplistic. In a similar vein, the oath-taking manager promises to “manage my enterprise in good faith, guarding against decisions and behavior that advance my own narrow ambitions but harm the enterprise and the societies it serves.” This sounds good. It might even be better when put more positively: “I will manage my enterprise in good faith, making decisions and engaging in behavior that advances my own ambitions while improving the enterprise and the societies it serves.” Of course if the oath said this, I’d accuse it of being naive. But is it naive to believe that one can engage in business in such a way that individual, corporate, and societal benefits are produced? I don’t think so. I know many business leaders who have done well for themselves through managing businesses that thrive and make a positive difference in society. Minimially, this difference includes employing people, allowing them to support their families, etc. But often what the business produces is also a plus. I think of my neighbor, Richard, who also happens to own the shop that repairs my car. Richard is honest. He charges a reasonable price. He backs us his work. He makes my life better. And, by keeping my car in tip-top shape, he also helps it to run at maximum efficiency, thereby using less fossil fuel and producing less pollution. To be sure, the Harvard Business School MBA Oath is just a tiny step in the direction of the kind of corporate transformation that is needed today. But it is a step in the right directions. It reminds me of what the leaders of School of Business and Economics at Seattle Pacific University are working on. I wrote about this a few weeks ago. The folks at SPU are seeking “another way of doing business,” in which profit is not the main point, though it surely matters. What is the main point? [I]n the School of Business and Economics (SBE), we start with the premise that the purpose of business is to serve. In particular, it is to serve the community by providing the goods and services that will enable the community to flourish (an external goal). It also serves by providing meaningful and creative work that will allow employees to express aspects of their identity on the job (an internal goal). This goes much further than the MBA Oath, in part because the leaders of SPU are generating their view of business from a Christian theological position. The MBA Oath, though something that a Christian could affirm, is vague with respect to fundamental values and vision. Me too! It would be swell, though, if stockholders also began looking at the long-term interests of the company they own, and supported boards and chairpersons who took that view. Too often, people want “their money,” and they want it now. This perspective lends itself to Ponzi-type schemes and gutting companies for immediate profit. Too bad. Maybe we just need more folks interested in leadership. If one has a good vision for the future and can articulate it so others want to support it, a lot can be accomplished. I have mixed feelings about this. I am pleased to see a renewed focus on business ethics. However, this pledge seems to stem from a collectivist view that subordinates the individual and the firm to the “greater societal good” (whatever that is) - just like the SPU statement I ranted against a few weeks ago. As a manager, my purpose is to maximize the long term value of the firm to its shareholders (or something to that effect). In pursuit of this purpose I will conduct myself according to the following code of ethical behavior…and then list ethical principles based on what we might call Judeo-Christian morality. Here is my rationale. The purpose of the business is to generate the maximum possible return to its owner(s) over the long term. This ensures that the enterprise is operating at top efficiency and is, therefore, contributing to the economy (and, thus, to the greater good of society). Anything less is a drain on the economy and is not in the best long term interst of society. As a manager, when I exchange my labor in return for a wage, my immediate obligation is to my employer, not to the society at large, or to other employees or potential employees. The society and the employess didn’t put capital at risk - the owner(s) did. Businesses do not exist to provide jobs, or to improve society. But successful businesses provide empolyment opportunities and, by providing goods and services and by creating wealth, they improve society. Improvement to the greater good is not the primary purpose of business, it is a natural consequence of the successful pursuit of its primary objective. And what, exactly, is the greater good? Who decides? Are businesses that exist for the greater good required to employ a certain number of people? Or to pay them a certain wage? Or to produce a particular type of product? Sounds a little like how the US auto industry is being reconstructed. We’ll see how that works out. Ray: As always, your comment is thoughtful and helpful. Thanks for offering it. I’m not sure I agree with you, however, about THE purpose of business. I think you articulate one valid purpose. But I don’t know how you can claim that it is THE purpose above all others. I know a very successful business that has chosen not to generate maximum possible return to its owners because the owners believe that their business exists, in part, to benefit society. The owners have chosen to receive less so that others might receive more. I suppose one could argue that doing as they do actually generates maximum possible return over the long term. But that is not their stated purpose or their true intention. They really believe that they are meant to better society and extend the kingdom of God. And that’s what they are doing, even as they are also making a stellar profit. So I think it’s too narrow to speak of THE purpose of business. It seems to me there are many possible purposes, and each business needs to determine its purpose. What’s the purpose of a tree? We could put together an almost infinte list of purposes that might include shade, lumber, oxygen, beauty, nuts, soil replenishment through shedding of leaves, provide homes for birds and squirrels, provide forests, etc., etc. All these things contribute to the greater good. But from the tree’s perspective, his purpose is to thrive and grow, and to be as healthy as possible. If a tree gets distracted by the infinite list of possibilities for contribution to the greater good, how can it focus on its primary purpose of thriving? In the simplest black & white terms, the purpose of the tree is to grow. The other benefits are natural consequences of the tree’s growth. I don’t think that the business’s primary purpose of maximizing the economic return to its shareholders is at odds with the goal of improving the society in which it operates. I think the two work hand in hand. But if the business redifines it purpose as something other than its own long term best interests, then it is putting the cart before the horse, so to speak. I don’t think we disagree that much. I’m actually just restating what you said about Richard’s shop in more general terms. I applaud the recognition that “business” needs ethics, but doesn’t the whole “oath” phenomenon, at Harvard, seem wierd? Consider, please, the process a student takes to become a Harvard Business School enrolee, and perhaps later, a professor-anywhere-and then at Harvard! Is this process happenstance, the egalitarian and happy outcome of an otherwise random process? I didn’t go, but I but think those who do would admit to some level of competition in getting there. I receive unsolicited telephone calls, but most are not from Harvard offering me a teaching position. So, I would take the whole enterprise more seriously, if there were some disclosure about “who we are and how we got here”. A covenant to change a human enterprise (Business) would seem to require more honesty, planning and recognition of the past and acknowledgment of the sacrifices necessary for lasting change. 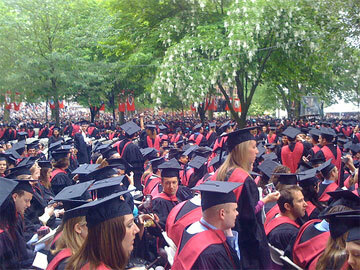 Harvard students are (in my opinion) way outside the norm of smart, driven, and effective. And what got them to Harvard was among other personal attributes a willingness and ability to compete. (these are of course, generalities-not all students fit my expertly crafted profile). A huge component of the competitive person’s motivation is the reward that comes from outdoing everyone else, or as many everyone else’s as one can. So, to turn 180 degrees away from personal gain measured by external achievements, to a committment for the greater good of humankind, requires an extraordinary effort (to move decisively in that direction and then sustain it). I perhaps cynically ask whether the petitioners have counted the cost of this change? Part of it perhaps goes to the question of private versus public ownership. If a business is privately owned, then certainly the owners might conceive of their business largely as a manner to serve society. Fair enough; they own it, so they can run it according to their goals. Likewise, everyone who is employed by that kind of business has the option to buy into that same mindset, and thus the business itself can become a shared expression of community service. But what if the business is publicly owned? Then I think that Ray’s point about THE point of the business is much more defensible. The various owners of the enterprise may have a multitude of community interests, but what they all have in common is the desire to turn a profit from the enterprise and a belief that the place can do it. When managers strive for profitability, then the money made by the shareholders can be distributed according to their diverse desires to serve. When managers strive to serve the community in a specifically defined way, then they privilege some worldviews at the cost of others. That leads them to feel good for being generous with other people’s money, and that’s morally troublesome. Well said, slarrow. You described a free market, in which free individuals pursue their own objectives, for their own reasons. The result of free enterprise is a society that is improved by commerce, not becuase the point of the commerce was to improve society, but becuase individuals were free to pursue their own self interests (not to be confused with SELFISHNESS). Corporate citizenship is a different issue. Mark’s example of Richard’s auto repair shop is a perfect example of a business that exists primarily to return a profit on Richard’s time and resources; but which also exhibits good corporate citizenship. And, by the way, the greater good is also served as Richard’s shop engages in the puruit of financial gain. I’m certainly not opposed to any efforts firms might make to serve society. I just think that the SPU and Harvard statements make a point to declare the “greater good of society” as THE primary purpose of commerce. I have a philosophical disagreement with that view, because I think it subordinates the value of the individual to the collective whole. 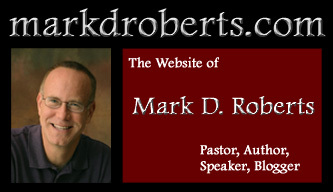 I appreciate Mark raising the topic of the intersection of Christian values and commercial enterprise. Too many people think the two concepts are mutually exclusive. They are most definitely NOT. Just posted the (unofficial) German translation of the MBA oath at http://blog.careermee.com/ on the CareerMee blog. They’ve got a discussion going there too. May be the first of many translations and this thing will explode worldwide.